It’s been five years since the release of Devil May Cry 4, and the latest game in the franchise, DMC, has taken a surprising new direction. In the hands of new developers, the new game is actually a reboot that gives players the chance to see the origins of Dante, the series’ iconic protagonist. A new contemporary feel driven by youth culture gives it a different feel distinct from previous games. Grittier and less gothic, the game is set in a more relatable world and has some fairly interesting ideas. It’s a very interesting approach, but DMC doesn’t completely alter the formula. Once you get down to combat with foes, some familiar moves and techniques quickly come back to the fore, which gives the game a solid foundation. It’s an interesting mesh of old and new ideas, so look inside as we examine how DMC successfully re-energizes this series. Players were up in arms when Capcom revealed that the next installment in the long-running Devil May Cry franchise would be a reboot. Using an outside developer, Ninja Theory who previously brought players Heavenly Sword and Enslaved was another risky move. The end-result is a game with a refreshed feel, more contemporary and trendy than previous titles. Main character Dante is now a young teenager learning the ropes while many of his environments reflect the current culture. There are some clever references to earlier games, but it feels less gothic than the older games in terms of design and presentation. As an origin story, a lot of ground needs to be broken and there are some odd moments, but the plot is fairly decent throughout. As the game begins, we find a young man under attack suddenly by demon forces and slowly learn his origins and motivations. 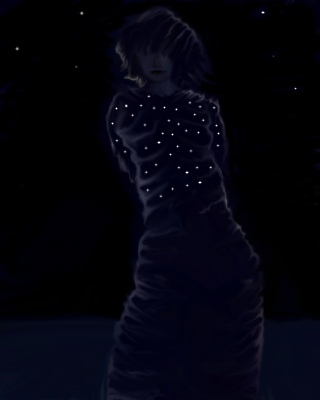 These unfold in both the normal world and a place called Limbo where he encounters waves of demons and monsters. We won’t ruin DmC’s revelations, but there are some cool surprises and re-interpretations that give Dante’s storyline a refreshing twist. DmC’s contemporary music and design features an abundance of contemporary industrial rock, allusions to western themes of religion and other elements. They don’t always mesh together as smoothly as one would like, but these moments are more than compensated for with the game’s solid mechanics and fantastic battle sequences. DmC’s prequel storyline may be a little disorienting, once you get your hands on Dante’s weapons and attacks, it feels quite familiar. His basic arsenal still includes his dual-wield guns which can be quite effective at dispatching enemies while his sword slices through them easily. As in the previous games, chaining moves together quickly creates combos that increase in power and points as you move them around. Each successful combo you perform is ranked and named with an explosive text window on the edge of the screen, continuing the DmC tradition of rewarding players for their skills. As you progress through the levels, you’ll quickly find an impressive selection of upgrades and new weapons to use during your battles. These can be earned by unlocking them in battle or can be purchased at the numerous statues on each level. You earn extra health and strength points by collecting orbs and other items from fallen opponents, who will also drop other useful items. These can be added up and used to purchase upgrades and new moves during your missions. Attaining more powerful swords and scythes represent the fastest and most obvious upgrades but you can also purchase additional moves and techniques to use. These allow you more effective attacks and additional abilities. The most important of these are the grab and glide moves that are indicated by red and blue indicators on the level. When these are used, Dante can jump over huge gaps and reach previously unattainable areas or move the ground towards him. These are assigned to the shift buttons and can be a little tricky to use at first, but become more intuitive as you use them. They definitely add to the game’s complexity and makes things more interesting in terms of combat and usage. This approach also opens up the level-design and allows for some unexpected moments. This works along with a solid combat system to create some memorable set pieces. DmC’s stylish attacks effectively create a strong impression that brings the classic DmC style back to the forefront quickly. As in the previous installments, the controls are smooth and intuitive and give you a strong sense of controlling Dante throughout. Most of the battles are fairly intense but enemies can usually be defeated with some concentrated effort. There are some impressive boss battles in the game as well, and these are handled with standard moves for the most part, with little reliance on the annoying quick-time events (QTE’s) that seem to mar most other action games these days. While there’s a current gloss on the storyline and design, when it comes time for battle, it’s definitely a refreshing throwback in the gameplay department. The game’s structure is also fairly traditional. Its levels unfold in a fairly linear fashion, though you can explore some sections in a constrained way. There are a few secret areas and side-quests that you can discover, but these don’t seem to affect how the main story unfolds dramatically. DmC’s innovations are more in terms of style than substance, but that’s probably more a function of keeping what made the previous titles so appealing, instead of breaking new ground in the gameplay and mechanics. It plays solidly and most fans of the series should be able to jump in with little adjustment needed. You can say that the new elements add little to the new game, but the origin story is interesting as it unfolds. DmC benefits from its clean slate, and lets players focus on the action and main events, instead of being dragged down by esoteric storylines. The game gradually ratchets up its intensity as more enemies attack the player at the same time, and become more difficult to defeat. Most of the objectives you face are fairly straightforward, though there are some sections, particularly in the surrealist Limbo sections where things can be a little confusing. The game flows fairly well, too. There’s loads of action and the cinema sequences don’t slow things down too much. From a design standpoint, DmC looks fairly good throughout with excellent polygonal environments, interesting environments and some impressive character designs. It seems to move a little slower than the older games, especially early on. However, things pick up in intensity very quickly. This approach is probably needed to re-introduce the game, and which might make it more accessible to new players, but those who liked the older ones will find the early hand-holding a bit much. Some of its elements are a little odd, with the surreal flashback sections sticking out the most, but the majority unfolds in a manner definitely reminiscent of the earlier DmC titles. This classic feel should make the game more appealing to fans of the original, and without giving away too much, there is some cool fan-service in the game that makes it worth playing through at least once. There are some cool twists on the formula visually, such as the new foes that look like some of the old ones, but they've been given a makeover to make them look and feel more contemporary. There grunge music can be distracting, but thankfully, the Ninja Theory developers haven’t over-used it. The game’s characters are interesting, though none of them compare to Dante. He’s still got the attitude and once you get used to its superficial differences, you’ll find a game that definitely has the classic feel intact. The game’s camera system is fairly good for this type of game, though it does have a way of limiting you environments. Its combat sequences are good as well with smooth camera systems that don’t get in the way of the action. Likewise, user interface is fairly good which makes navigating menus to change weapons or implement power-ups a straightforward task. All of this combines to make a smoothly playing and entertaining title. 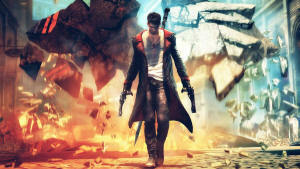 DmC is highly polished and enjoyable, though not as deep as one would like in some aspects. However, not every game needs to be a multi-hour marathon and DmC delivers a fun entertaining experience that should satisfy most players. It’s an impressive remake in many ways. DmC gives the old series a fresh coat of paint while not throwing out the intense action that players loved about the previous games. Some of the new attacks are quite cool and Dante’s new abilities give the game a different feel in places that’s more than blind combat. Players who thought it would turn into an emo-fest should be relieved that Dante’s battles remain at the heart of the game, and that they remain entertaining and stylish. This is one of those games that could have gone either way, but Capcom and Ninja Theory made just enough changes to keep things fresh while not changing the key elements that made the original games so appealing. DmC is definitely worth playing, and comes highly recommended for long-time fans and those new to the series.